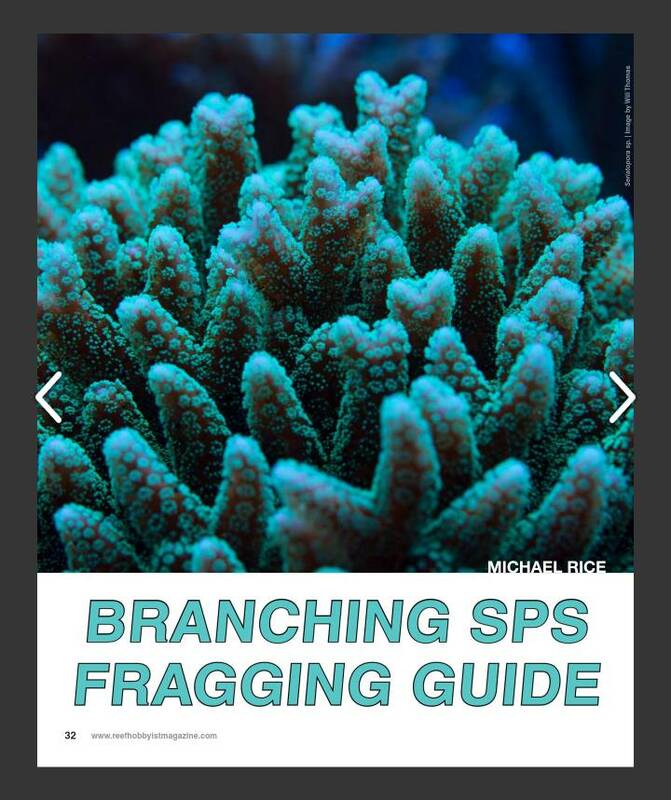 Discussion in 'Frags' started by mikejrice, Jan 2, 2014. The method I use for fragging the majority of hard corals is primarily the same with the cutting tooling being an Inland band saw. Pocillopora has a few different growth types which, along with specific colony forms, can make fragging them very different. I included two of the most commonly found forms in the video. First in the video is the smaller branch forms which form in very tight patterns. To split these colonies, I cut up from the base of the colony to split it into smaller frags. Second in the video is the thick, club-like branching colony. Because of the base size of most of these colonies, I like to cut accessible branches off as I work my way around the base. When finished, you're left with a base that can then be grown out once again. If there's a specific species you would like to see fragged, comment below. Here's a really odd growth form.